Swedish five piece ensemble Below landed a deal with Metal Blade Records early in their career to issue their debut full-length effort. Previously, the newly formed band that came to life in 2012 released a split with fellow Sweden based doom band Anguish; the split featured only one track from each of the groups. With such an ominous name as Below, are they a worthy entrant into the prestigious Metal Blade army with their debut forty-five and a half minute epic, Across the Dark River? The first element here that really captures the individual is the album art, which makes a heavy first impression with its depiction of a ghostly looking despaired man being paddled across the River Styx, the Greek river which is a boundary between Earth and the Underworld, by perhaps Cheron or just Death himself. The small wooden boat is being grasped at by hands of the dead and soon the river turns to blood or fire in the distance. While the art style itself is simplistic and looks to be done with charcoal and pastels, it's a very haunting and memorable cover that surely foreshadows a dark adventure waiting in the depths of the music within. 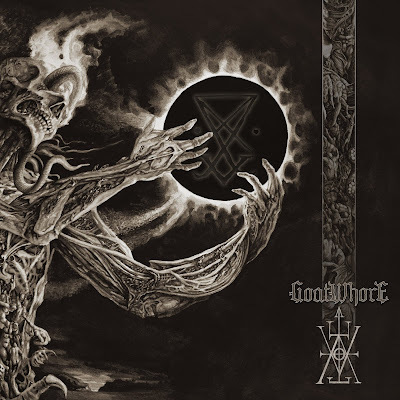 The musical content itself is not what one would expect at first, given the grim attitude of the album art; growls and overly distorted guitars are amiss in this material and instead the listener will find themselves pleasantly welcomed by clean vocals and varying levels of distortion. The content begins with a dragged shovel scraping across the ground, digging, what is presumably a coffin being opened and creepy dissonant picking; this is but the first minute of "Trapped Under the Ground", the first track in the epic journey that Across the Dark River will carry the listener. The lyrics illustrate in depth the agony of awakening to being buried alive, which is a fear that haunts many. 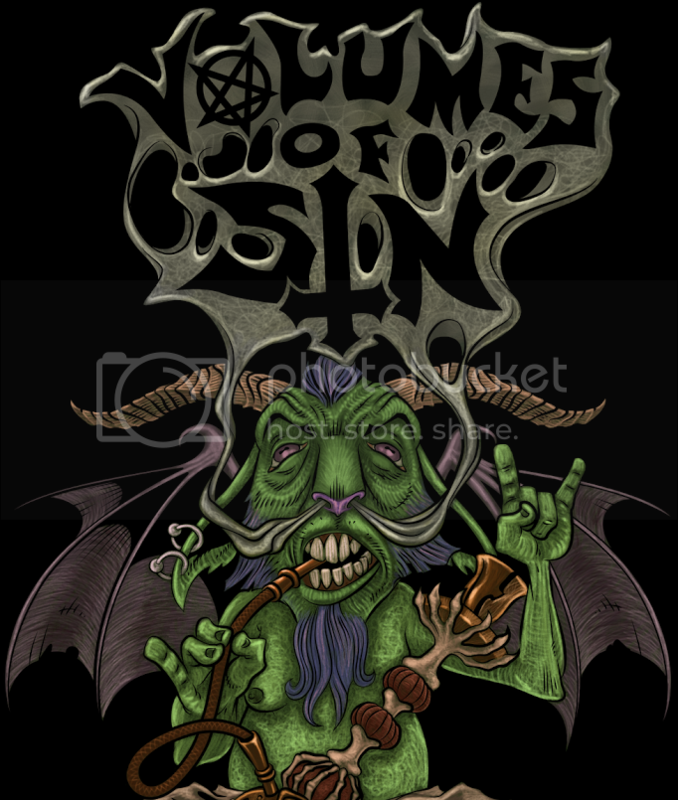 This track and each of the remaining seven are endowed with catchy doom compositions that will leave the listener coming back to press play time and time again. As exceedingly promising as the material is, there isn't anything absolutely groundbreaking to be found here. Most of what is heard is comprised of tried and true doom-metal-meets-heavy-metal infusions; that being said, there's nothing wrong with sticking to a formula that works so long as it isn't a blatant rip off of someone else's genius. Below have incorporated some of their own unique techniques to the album with intriguing, yet simple, song compositions; while these compositions are predictable, for example both the lead and rhythm guitars following the harmony of the vocals step by step, and repetitive at times they are never tiresome or boring. There are enough bridges, stand alone guitar solos and captivating drumming to space out the small moments that may have potentially become monotonous otherwise. The tempos range from medium-slow to medium-fast, a shallow vacillation that Below manage to use to their benefit as they are somehow able to make sure that the pace of the material never stagnates for too long. 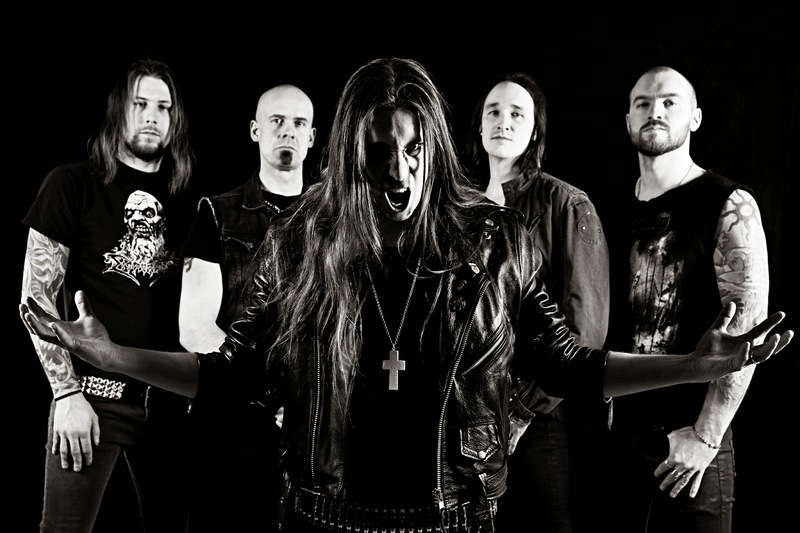 The vocals, and many other elements, are inspired greatly by Candlemass and King Diamond; being clean in tone with a decent fluctuation of highs and lows to keep the interest of the audience firmly in its grasp, along with telling engaging tales throughout each of the eight tracks. Occasionally there are also background chants that embellish the main vocals, which further pushes the occult atmosphere of the album. The rhythm guitar deviates in tone in various tracks, being heard fairly distorted in songs such as "Mare of the Night" while appearing clearer in most others. The rhythms are often made up of straightforward power chords, sometimes palm muted but mostly open strummed, with small bridges scattered around. The lead guitar is differentiated from the rhythm with an even cleaner tone that stands out high above the other instruments as it takes on bouts of captivating, simplicity-driven solos; the complexity of these endeavors could stand to rise, as most of the other instrument work is just as uncomplicated in nature. The only instance where the solo becomes more involved is during "Across the Dark River", which has a deep and extended solo that progresses throughout the majority of the track. Unfortunately the bass doesn't stand out as much as one hopes for, which would give an entire new depth to the material otherwise; however the bass guitar truly stands out on "Ghost of a Shepherd" and nearly carries the track on its own with quick paced walking lines. The drums in this content use a lot of cymbal and hi-hat crashes that are coupled with tom-tom hits and multitudes of roll variations; however, as with the rest of the instruments this one too is uncomplicated. When the bass drum is incorporated the album is given a heavier, more sinister ambiance though it could stand to be used more often, and even some double bass drumming would be nice to hear every now and then. 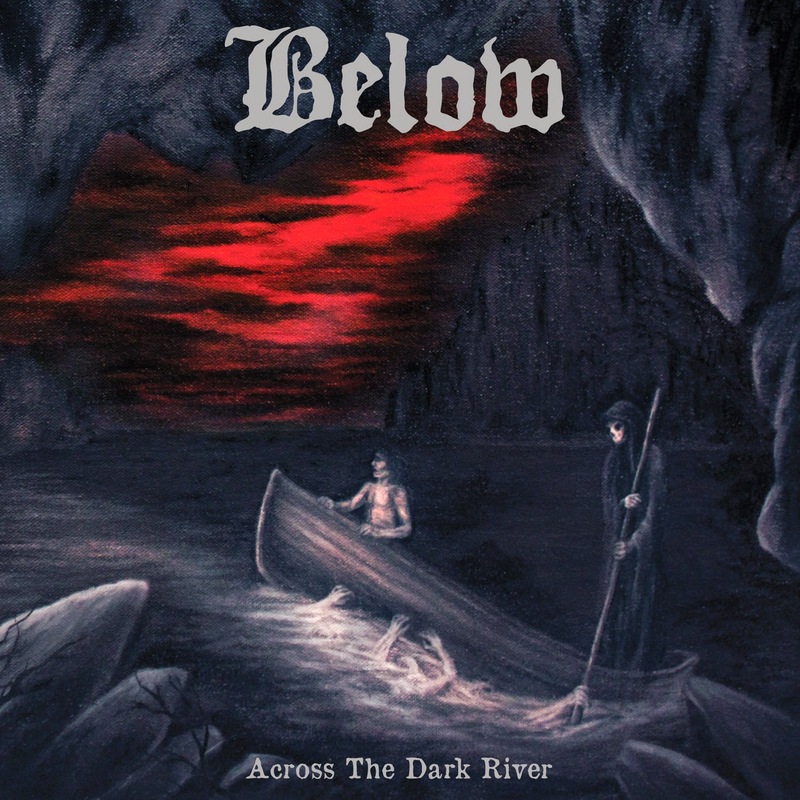 Below have created an outstanding first impression with Across the Dark River. The album may have its fair share of improvement standpoints but it's more than a worthwhile listen that will become a favorite for a lot of old school doom metal fans; specifically those who enjoy bands along the lines of Candlemass and Cathedral. Few songs will be picked out as non-favorites, although "Trapped Under the Ground", "Ghost of a Shepherd", "Portal", "Mare of the Night" and "The Whitechapel Murderer" will stand out the most with their memorable rhythms and lyrics. In the first and third tracks it sounds also like there is a little bit of keyboard layering in the background, despite no keyboardist in the band, which is a good incorporation that gives this album the little bit of atmospheric edge that it needs. Highly recommended, support this band via their store at the Metal Blade Records webstore now!